TODAYS TENNIS SESSION IS CANCELLED DUE TO EXTREME WEATHER CONDITIONS RELATED TO HEAT AND HUMIDITY. We MAY BE adjusting the starting time to begin earlier IF extreme weather conditions continue. Please check this website for up-to-date information. GlouTwp. 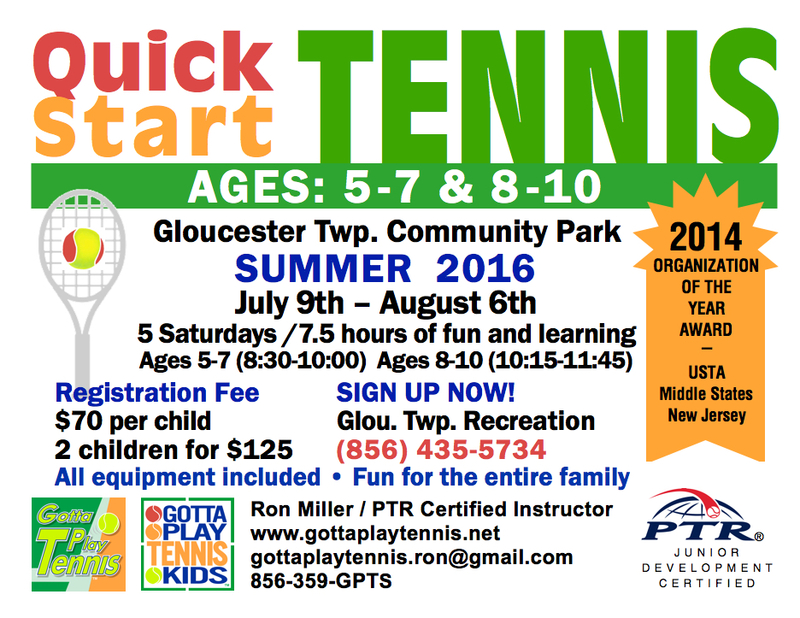 QuickStart Tennis is cancelled for July 23rd due to extreme weather conditions. We will continue our sessions next week. Please check back as we get closer to our session start time. Also, be sure to call 856-359-GPTS (up to 1 hour before) to check on session status. We will do our best to keep you informed as decisions are made. Unfortunately, the weather is very unpredictable and forecasts can change from one moment to the next.